Dean's List: Special recognition is accorded students who maintain a 3.0 (B) grade point average during any semester in which they accumulate at least 12 graded (A, B, C, D, F) units at Gavilan College. Dean's List achievement shall be noted on the student's transcript. President's Honor Roll: Special recognition is accorded to students who earn a 3.5 or higher grade point average during any semester in which they accumulate at least 15 graded units (A, B, C, D, F) at Gavilan College. President's Honor Roll achievement shall be noted on the student's transcript, and additional special recognition shall be given. Standards for Probation: Academic Probation: A student who has attempted at least 12 semester units as shown by the official academic record shall be placed on academic probation if the student has earned an accumulated grade point average below 2.0. Progress Probation: A student who has enrolled in a total of at least 12 semester units as shown by the official academic records shall be placed on progress probation when "W," "I," "NC" and "NP" recorded entries reach or exceed fifty percent (50%) of all units in which a student has enrolled. Removal from Probation: A student who is on academic probation for a grade point deficiency shall be removed from probation when the student's accumulated grade point average is 2.0 or higher. A student on progress probation because of an excess of units for which entries of "W," "I," "NC" and "NP" are recorded shall be removed from probation when the percentage of units in this category drops below fifty percent (50%). Standards for Dismissal: A student who is on academic probation shall be subject to dismissal from the college if the student earned a cumulative grade point average of less than 2.0 in all units attempted in each of three consecutive semesters. A student who has been placed on progress probation shall be subject to dismissal if the percentage of units in which the student has been enrolled for which entries of "W," "I," "NC" and "NP" are recorded in at least three consecutive semesters reaches or exceeds fifty percent (50%). A student who has been dismissed may petition for reinstatement with a written petition. The petition will be reviewed by a counselor. A decision can include continued enrollment, continued enrollment with a reduced unit load for a predetermined period or dismissal from the college for a predetermined period of time. Petitions are available from the counselors and the Admissions and Records Office. A student deficient in grade points who transfers to Gavilan College from another college will be admitted on probationary status and allowed to remain as long as a 2.0 or higher grade point average is maintained. Repeat a course graded "D", "F", "NC" or "NP". The grade and units of the first attempt will remain on the student's permanent record but will be annotated to show that they are no longer computed in the grade point average. A period of two years has elapsed between the time of the petition and the date of the course work to be renewed. No grade or course will be removed from the student's permanent record. However, the record will be annotated to show that the coursework for that term is not computed in the grade point average. Subject completion, but not unit value, will be allowed for any course completed satisfactorily in the term(s) to be renewed for the purpose of satisfying requirements for a certificate or degree. (All work, including the semester(s) for which academic renewal has been granted, will be computed in determining honors (3.50) at graduation. Developing new course curricula is an ongoing process. After the catalog has been printed, new and revised courses and majors may be available. These changes will be available on the web version of the catalog, as it is a "living document." Consult with a counselor if your area of study has changed. Continuous attendance is defined as enrollment in at least one credit course per academic year, including summers at any accredited college or university. Attendance at another accredited institution of higher learning is not considered an interruption, providing the absence does not exceed four (4) years. A student who is absent for at least three (3) consecutive terms, including summer, is considered to be a returning student for purposes of "catalog rights" and must follow the graduation requirements in effect at the time he or she returns or any catalog year thereafter. 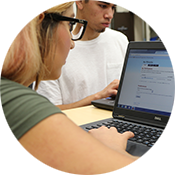 Students at Gavilan College are expected to attend all classes for which they are enrolled. Students missing one more class hour than the unit value for a particular course without making prior arrangements may, at the instructor's option, be dropped without possibility of credit. Students who do not attend the first class session may be dropped from class in order to admit other students desiring to enroll. If it is necessary for a student to miss more than three consecutive class periods, a Leave of Absence Petition Form should be obtained from the Admissions and Records Office. The petition must be approved by all the student's instructors and returned to the Admissions and Records Office. Ordinarily, a petition for leave of absence will not be granted for more than two weeks. Prolonged absence, even when excused, may result in grade penalties, since the student is still responsible for course requirements. A course syllabus is an outline of expectations, major projects, test and assignment due dates, attendance policies, and other pertinent information established for an individual course by the instructor. Students should read and review their course syllabus for each course and keep it handy throughout the semester for quick reference. Every course, course section or class, the average daily attendance of which is to be reported for State aid, wherever offered and maintained by the district, shall be fully open to enrollment by any person who has been admitted to the college and who meets such prerequisites as may be established pursuant to Chapter II, Division 2, Part VI, Title V of the California Administrative Code, unless specifically exempted by statute. Gavilan College provides special registration assistance to disabled and disadvantaged students in compliance with Title V of the California Administrative Code, Section 504 of the Federal Rehabilitation Act and the Americans with Disabilities Act. There are limitations on the number of times a student may repeat a course. All courses listed in this publication with no repeat notation following the description may be repeated once without filing a petition if a grade of D, F, NC or NP was earned. A student may file a petition to repeat a course a second time if a grade of D, F, NC or NP is earned again. To file a petition, the student must meet with a counselor to evaluate circumstances and receive written approval. The student's transcript and grade point average will reflect the last grade the student receives in the course. A student may petition to repeat the course a third time by filing a Request to Repeat a Course Under Special Circumstances and providing the necessary documentation to support the special circumstances claim. To repeat a course in which the student has received a final grade of "C" or better, a student must file a Request to Repeat a Course Under Special Circumstances prior to registering for the course again. Units and grade points for the repeated course are not computed in the grade point average unless the course is being repeated to meet legally mandated training requirements as a condition of continued paid or volunteer employment. This request must also be approved by a counselor. A student who withdraws from a course prior to 30% of the class meetings being held will receive no grade of record. A student may withdraw from a course and receive a grade of "W" prior to completion of 75% of the class meetings for the course; thereafter, the student will receive whatever grade they would have earned, based upon the entire semester's work. A student may withdraw from a course up to four times and receive a grade of "W"; after a fourth "W", the student will receive the grade they would have earned, based upon the entire semester's work. A withdrawal may be excluded from the four-time maximum limit in the case of extenuating circumstances such as natural disasters or other circumstances beyond the control of the student including verified cases of accident or illness. A prerequisite is a measure of readiness for a course or program that a student is required to meet as a condition of enrolling in a course or program. Successful completion (a grade of "C" or better) of the prerequisite is required. 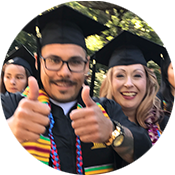 How Course Prerequisites are Established: Course prerequisites are developed by faculty members and accepted by the Gavilan College Curriculum Committee with the intent of promoting student success. Courses are individually reviewed to assure that prerequisites are a valid measure of readiness for student success. Challenge of Prerequisite: Students who have reason to believe that they have already fulfilled a prerequisite, or that a prerequisite has been improperly established or implemented, may challenge the prerequisite. The student is responsible to provide compelling evidence to substantiate the challenge claim. Challenge forms are available at the Admissions and Records Office and must be completed and returned to the Vice President of Instruction prior to the first day of classes. The college must respond to a completed challenge submitted by a student within a period of five (5) school days or the challenge is valid. Although the student may register in the class for which the prerequisite is being challenged, if the challenge is denied, the student will be dropped from the class. Academic credit will not be awarded for successfully challenged prerequisites. For further information regarding the prerequisite challenge, contact a counselor. An advisory is a measure of readiness for a course or program that is recommended a student meet in order to enroll in a course or program. Successful completion with a "C" or better is strongly recommended. How Course Advisories are Established: Course advisories are developed by faculty members and accepted by the Gavilan College Curriculum Committee. Courses are individually reviewed to assure that the advisories assist a student to efficiently and successfully complete the course. The departments and the Curriculum Committee have concluded, after review of content, that the advisory or its equivalent is strongly recommended. Definition of a Unit: Units of credit are based upon the Carnegie Unit, which requires a minimum of 3 hours of course-related work per unit of credit each week throughout a 16-week semester. During a 16-week semester at Gavilan College, a typical 3 unit lecture class will meet an average of 3.3 hours per week for classroom instruction and require an additional 6.7 hours per week of outside work (reading, library research, problem-solving, projects, term papers, etc.) for a total of approximately 10 hours of course-related work per week (or 160 total hours for the course). This time requirement increases to 27 hours per week during a 6-week summer session. Units of credit earned in laboratory/activity classes are also based upon the 3 hours per week per unit ratio. A typical full-time load is approximately 15 units per semester, requiring a minimum of 720 hours of course-related work when class lectures, labs and outside homework are combined. This will vary somewhat, based upon assignments, individual goals and academic ability, but each student is encouraged to budget adequate time for required study. Degree Versus Non-Degree Units: Gavilan College has designated certain courses "non-degree appropriate." This means that units earned in selected courses will not count toward an associate's degree. This information is contained in the course descriptions in the Catalog. 15 units Full-time student (President's Honor Roll eligibility). 18 units Must have minimum GPA of 2.5 and counselor's approval. 19 units Counselor's approval required. to the Vice President of Student Services or designee. more than 6 units Counselor's approval required. Vice President of Student Services or designee. The GPA is the college's method of assigning numerical value to the grades you receive for your coursework so that all students' work is evaluated in the same manner. The GPA is computed by dividing the total grade points by the total number of units attempted. Your GPA will be calculated at the end of each semester and cumulatively (all semesters to date). Your transcripts and grade record will show whether you have attempted a class, completed or withdrawn from a class, repeated a class (to replace previous grades of D, F, NC or NP), the total number of units you have attempted and completed, and grade points associated with each grade. Grades from other colleges are not included. Courses offered under the pass/no pass (P/NP) grade option are determined by the Gavilan College Board of Trustees and cited in the catalog. Students receiving the pass (P) grade must have achieved the course objectives equivalent to at least a "C" grade in order to receive the units of credit assigned to the course. The grade point average of a student receiving a pass (P) or no pass (NP) grade will not be influenced. A Pass/No Pass course is not included in consideration for honors such as Dean's List or President's Honor Roll. See page 33 for additional information. For some courses, students have the option of selecting a final grade of pass/no pass or a traditional letter grade of "A", "B", "C", etc. Review the course description in the Catalog to determine which courses are designated as having this option. Once the option has been selected, the student's decision is final and irreversible. To select one option over another, a student must complete the Grading Option form and file it with the Admissions & Records Office prior to the NRS (No Record Shown) date for the course. This date is 30% of the course length. Short-term classes are calculated differently (See Admissions and Records). If the student opts for a P/NP final grade, the units are not included in the semester GPA but are considered for the purposes of probation and dismissal. A P/NP grade is not used in consideration of honors. A total of 20 units of P/NP graded units (not including those courses required by the major which are designated P/NP only) may be applied to an associates's degree or certificate. The student should carefully consider the transferability of P/NP units to other institutions. Some universities may not accept any P/NP courses and others limit the amount of P/NP units that will be accepted. Please consult a counselor before selecting the Pass/No Pass option. The previously used CR and NC grades have been replaced by the P and NP grades of record.